Learning ambassadors talk about their role at St. Nicholas Priory. 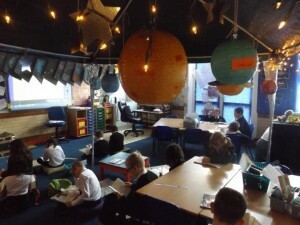 At St. Nicholas Priory Primary School we believe that learning is a journey, not a destination. We aim to challenge, inspire, motivate and support our learners to achieve and excel. We have high expectations and believe that all children can achieve. Since our Ofsted in June 2014 we have continued to focus on strengthening the curriculum in order to ensure the best possible opportunities and experiences for all learners. We have actively sought to engage with a wide range of schools both in and out of county to ensure breadth as well as depth of learning. We aim to provide a rich, stimulating curriculum that is relevant, challenging and balanced. Our curriculum covers all of the National Curriculum, Religious Education and Personal, Social and Health Education. All teachers contribute to the planning of the curriculum. Plans, teaching and progress are monitored regularly to ensure the needs of all children are met. English and Mathematics are taught throughout the day but the key skills learnt during these sessions are developed and extended during our cross-curricular topic projects. 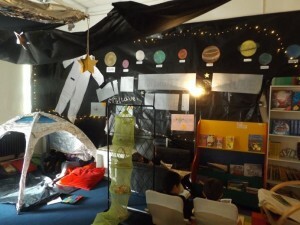 Each year group undertakes a cross-curricular project every term, which is designed to answer an essential question. Children are expected to share their learning with others in a variety of settings, such as to other children, their family and members of the public. Projects have a strong History and Geography focus but also incorporate aspects of Science, Design and Technology, Art and ICT. They aim to take advantage of the local resources – with visits to nearby attractions and museums being an essential part of developing the children’s understanding and enthusiasm for learning. As part of the process children have to participate in a Presentation of Learning at the end of their Project work to the wider community. In order to improve our learners’ ability to write, independently and at length on any given project, we deliver English through the use of ‘Talk 4 Writing’. Initially the the children learn, off-by-heart, an example text of the target genre. Subsequently, they pick apart the different elements of it before writing their own, improved, text. Science, ICT, P.E. and Games as well as Modern Foreign languages are taught as discrete subjects throughout the school day, but as with English and Mathematics, elements of these subjects are drawn upon in other areas of learning. ICT has been a major focus for the school. We currently have an ICT suite, also laptops and tablets, all of which are used to develop the curriculum. The use of laptops in English, Mathematics and our projects allow the children to apply their ICT skills independently and in a variety of ways. Mathematics focuses on reasoning, problem-solving, fluency and arithmetic. There is an expectation that discussion is a key feature of mathematics activities, with the emphasis on a possible solution to a problem or investigation. Teachers are expected to make use of models and images to develop children’s conceptual understanding rather than instructing them in the use of procedures. Developing fluency in mathematics is part of our daily routine and is practised during registration. As a voluntarily Aided, Church school, R.E. is an important subject. Instead of teaching R.E. once a week, the children learn through mini-projects throughout the year. The children therefore develop greater understanding of the teachings and practices of the world faiths they are studying. We regularly visit St. Nicholas Minster and have members of the clergy attending our school’s act of worship. In year 1 phonics and reading is delivered with the aid of the Ruth Miskin’s Read Write Inc. scheme. The National Curriculum is delivered through project-based activities which incorporate English, History, Science, Geography and Art, whilst the rest of the subject areas are taught separately. Please click the links below to discover more about the KS1 and 2 curriculum subjects. If you would like to know more about the curriculum at our school then please do not hesitate to contact your child’s teacher! Mornings in key stage 1 include maths, which is taught in discrete lessons, and reading and writing which are linked to a core text and also taught as discrete lessons although elements are also covered during afternoon challenges. In the afternoons, children take part in a series of challenges and activities which cover the remaining foundation curriculum areas. Children receive initial teaching from adults and then have to complete different challenges and activities working both independently as well as with key teaching adults. By offering this approach to learning, the children not only receive thorough key stage one foundation curriculum coverage, they also develop life long skills of collaborative learning, problem solving, independence, time management, critical thinking, perseverance and resilience. This approach to learning allows the children to apply previous learning in a new context and helps to make their learning engaging and real as well as motivating and fun. At an early age they can be seen focusing and concentrating for extended periods of time and producing high quality outcomes that they are proud of. This style of learning provides a secure foundation for the children as they move to key stage 2.